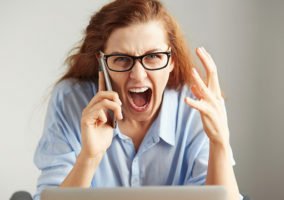 Finding the right music on hold strategy can be difficult, especially when customers can now complain instantly via social media if they don’t like a particular song. Matthew Brown looks at Twitter to find out what customers really think about the music they listen to while on hold. – @annarchyAnna – @yellow_ruff I was on hold to Primus yesterday and they were playing LCD Soundsystem… when did corporate music get so cool? – @AnnaVeal – I don’t mind being put on hold when I call Apple. Their “Hold” music is the best! 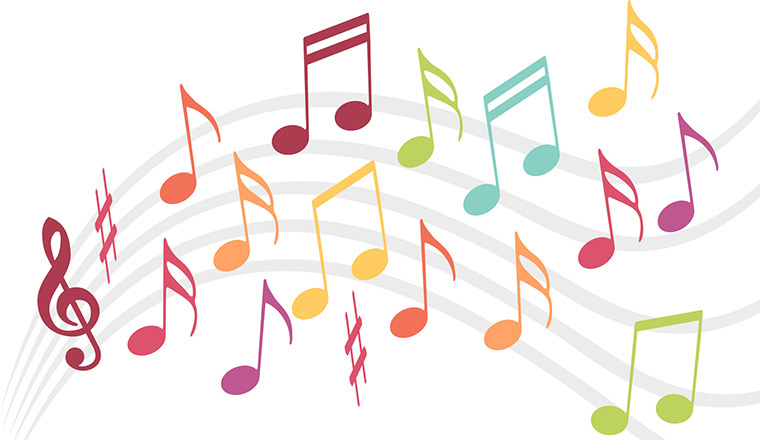 Music can be a benefit to companies when putting callers on hold. A suitable piece of music can distract the caller from the boredom of being on hold. It reduces the perception of time passing, making complaints about waiting time less likely. Music on hold can also represent your brand. By aligning the music played to callers on hold with the music used in the company’s ongoing television or radio advertising spots, promotional messages can be reinforced and the brand image strengthened. All firms should think about the music they want to represent their brand. Music on hold may be one of the first things a potential customer hears when calling a company. As the tweets above show, they notice when it’s appropriate and when it’s not. Nothing is more off-putting for a caller than the soft tones of a voice message followed by a blast of tinny music a few decibels too loud. – @DarnRealFarmie – I’m enjoying the jazzy HMRC on hold music. – @booshfan18 – been on hold for 30 mins, HM Revenue music is so dull, at least being on hold to Npower i had the top gear theme tune. The enduring problem faced by those who program music for on-hold systems is shown perfectly by the tweets above. One caller enjoys the jazziness of the music, the other thinks it dull. For a public sector organisation like HMRC such a divisive choice of music won’t lose them any business – if you need to talk to the taxman, you have to put up with it. Ultimately you can’t please everyone. Perhaps that is why music on hold tends to be songs that are in the charts, or have been popular in the charts in the past. If a song sold a lot of copies it’s safe to assume a lot of people enjoy it. Recent chart music is arguably the safe choice for many large call centres that deal with a wide range of callers. – @annamarie314 – I like that they allow me to opt out of that dreadful hold music on their call line. Allowing callers to opt-out of listening to music when on hold can reduce the potential irritation factor. It also gives the caller a measure of control over the call. Frustration arises when callers feel trapped on hold, unable to do anything productive, and unsure of how long the hold period may last. Allowing them the ability to choose to listen to something else may reduce frustration. Music on hold is often moaned about, but few callers would genuinely prefer silence. They wouldn’t know if the call was still on hold or not. The ‘irregular beeping’ mentioned above sounds unprofessional and slightly creepy. If music is no longer working, a voice message with information or even news stories could be the best alternative. – @e_koorb – on hold to etihad. slow. boring. annoying hold music. why don’t they just know the answer? – @essecks – You know you’ve been on hold a while when you go through four different songs of hold music. In fact, no kind of music is going to compensate for long waiting times. But sometimes an upbeat, happy tune like X-Factor loser Olly Murs’ recent chart hit can aggravate customers who may already be angry. When the calls mount up, perhaps something soothing and more ambient would be better. – @LorNColor – For once in my life there’s good music while I’m on hold with my phone company? Sing it Loud – Come Around. These tweets show the positive effect music can have on callers. They enjoyed the music, the customer service interaction went well, and overall they’re likely to be highly satisfied with the service they received. Music on hold isn’t likely to be remembered by callers and won’t cover up bad customer service, but it can compliment a good all-round operation. Quirky choices of music, such as the ‘Cheers’ theme tune mentioned above, might help lift the mood of a customer faced with time on hold. Matthew Brown is the features writer for Call Centre Helper. Firstly ensure all recordings and music are professionally recorded, mixed and produced; there’s nothing worse than hearing contact centre background noise with an internally recorded message. Start with a message explaining what is happening e.g. “your call is on hold and will be answered…” with the music playing in the background. I’d advise against giving queue positions or expected hold time, as if this is wrong your customer will be very unhappy. Intersperse the messages and music with news snippets, e.g. sports, entertainment, weather, business, etc. These can be uploaded each day and provide a bit of variety for your customers. Ensure the total length of the on-hold message is far greater than the average wait time; you want to avoid your customers hearing the entire message more than once. Review your messages regularly and update to keep relevant. Your customer doesn’t want to hear about an expired special offer! Think about the music that best represents your brand and how you want your customer to feel when they talk to your operators. When a person is relaxed, the heart beats at around 80bpm – so music with the same rhythm will have the same calming effect; perfect for when you receive an irate caller. Up to 20% of callers make buying decisions while on hold so use it as a valuable marketing opportunity. Callers waiting on hold are a captive audience and you’ve got the opportunity to tell them about your website, cross-sell new products, communicate your hours of operation and shout about your industry accolades. Whatever your company has to say, on-hold time is a great moment to say it. Use the opportunity to reaffirm your brand. If you invest in TV or radio advertising, get the same artist to voice your on-hold messages. It’s about creating an audio brand that your callers can relate to, and helps you sound as good as you look. Keeping your callers entertained on hold is an effective way to retain more calls. 70% of callers admit to putting the phone down if they’re greeted with silence or beeps; music or courtesy messages such as ‘Thank you for holding; your call will be answered in a moment’ assure your caller that they’re still connected, keeping them on the line for longer. Keep it fresh: if your callers contact you regularly, change your music or messages every few weeks to keep them interested. Thank your callers for waiting; you’re grateful they’re still on the line so use on-hold time to tell them so. What are the best and worst examples of music on hold you’ve ever come across? Discuss them in our forum or leave a comment below. 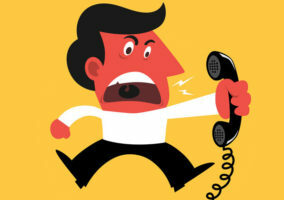 Is Your Music on Hold Turning Off Your Customers? Our company (Premier Business Audio Limited) work with some of the biggest contact centres and brands in Europe to improve the caller’s customer experience. I noticed a comment above from @AnnaVeal regarding The Apple customer experience, well it goes to show our audio branding solutions do get results! Some great commonsense comments about music on hold here. It’s consistently one of the top public gripes when ringing call centres, and it’s something that many brands sadly overlook; though a great opportunity for companies like us at soh! In the feedback so far, one key area has been missed…. THE CALLER! It’s all well and good recording clever marketing messages on hold that advertise how great the company is, but what if that caller is ringing because their gas has been cut off, or they’ve been overcharged on their phone bill, or they’ve received a faulty product? The key is designing experiences that not only reflect the brand but understand the caller; who are they? Why are they ringing? What frame of mind are they likely to be in? Get that right, and combined to the earlier comments call centres will really see the benefits. Abandonment rates, customer feedback & satisfaction, and increased sales opportunity are just some of the measures that will be greatly improved. When the CEO calls in and gets put on hold… that’s when the music gets changed. Ideally, shouldn’t the Marketing Department be handling the music on hold? Totally agree Tim! Sadly Marketing, and Brand Departments often ignore this space – wrongly viewing it as a telephony issue. Yet this is often the most important customer touchpoint. They wouldn’t leave the layout of their branch/store to the maintenance department so why leave the audio experience in the hands of the telephony team? Warning. We like many companies think on hold music or messaging can be a benefit. 11 days before the end of the contract we chose to go another route and wrote to cancel. Almost immediately a sales rep appeared to try and convince us to stay. We agreed to extend the contract for 1 year, but this was not good enough. PH Media hit us with the small print that said despite signing for 3 years that was the minimum contract and as we did not give them 42 days notice of cancellation we were now committed for a further three years and they would go to court to enforce it. We have now been compelled to spend thousands of pounds more on a three year deal with a company we now loathe. They have turned us from a loyal client to one that despises them and all because of greed. I strongly advise anyone thinking of using this company to scrutinise the small print and cross every t and dot every i before signing anything, do not get caught out like we did. When I am on hold to a company I am ringing to complain about, the last thing I want to hear is how great their products and services are — especially when I’ve been waiting more than 10 minutes, being told how important my call is to them! More time and money spent on getting it right first time and more people to deal with calls is better than any fancy “on hold” tactics! I work for a relay company. I hear ALL kinds of hold music and advertisements. 1. DO NOT play messages with hold music in the background. People who are hard of hearing will very UNlikely be able to discern the advertisement from the music. It will just be a garbled mess and annoying. 2. YES put the suggestions of how long they may be on hold or where they are in the queue. It’s a great way to keep people on hold if they know they are even close to talking to a live person. 3. The option of a a call back is WONDERFUL. People like to multitask and if they know they will get a call back within an hour, guarentee you will have much happier customers ! 4. Speak your advertisements just a little more slowly than you would speak naturally. For hard of hearing adults ( and we will ALL get there sooner or later) it is so much more pleasant. When a CSR answers the phone, DON”T say Thank you for calling, business, my name is and how can I help you as if you are in a race to see who can say it the fastest. The hard of hearing person will no doubtedly not hear a word you’ve said. If they are waiting for me as a relay operator and you’ve said it faster than I can understand it… don’t be surprised if they ask you to repeat it.. and WAIT for a response of at least 5 seconds. Especially for older people even if they can hear. It takes longer for the brain to process than it used to. Don’t keep saying hello hello hello… so annoying. As if you are in a hurry and wanting to going home as soon as you finish the call. That would be how NOT to make a customer feel like you really want to help them. I think a lot of companies these days play horrible music, and loudly, so that you hang up and don’t clutter their customer support system. Try calling Virgin Mobile’s support line sometime. Their music on hold is so loud the voices and music are distorted, they play 15-second clips of music and it keeps getting interrupted by unknown people saying ‘you are listening to virgin mobile live, stay tuned’. It might be the most annoying experience I have ever had on hold, and I think it was strategic from their standpoint. Which is sad in all honesty. From a consumer/customer: Whenever I am holding I use that time for whatever – but I am severely hampered by having to hear music on hold or constant marketing speak. It is always a negative and unpleasant experience. Here’s what would be a pleasant experience – to hear a short (very short) announcement that while holding every 2 minutes I will hear “Please continue to hold”. If you believe that some want to hear music or offers or …, ONLY do that if you provide an opt out selection (press 1 for example). How about press one for turn the bloody music off? Some teenage crooner – oooh, I want to stop the beat. So do I. The absolute worst scheme, is to play back a voice message saying, “sorry to keep you waiting, all representatives are currently busy with other customers, please continue to hold, we’ll be with you shortly”, every 30 seconds, when the hold time is interminable, well over a half hour. The tinny music is interrupted, so the hold captive is continually forced to determine if someone actually came on the line as opposed to this constant pinging message. This has to be a scheme to try to get the person to hang up, because it’s annoying to have to endure. If it were only music it wouldn’t force the person to be constantly focusing on the stupid repeating message instead of heating a voice come on only when someone finally answers. Waiting on the telephone is a great way to hear new, unusual music. Unfortunately, not many tell you the name of the song. you have to go to the source where they find it. is there a copyright fee for technicallly broadcasting a song ? Why can’t the caller be given a choice of what they want. No music = press 1 rock = press 2 80’s = press 3 classical press = 4, etc With the digital capabilities we have today, this is entirely possible to do.